Flame retardants are used to suppress flames and prevent the spread of fire. Since the 1970s, flame retardants have been added to textiles, carpet padding, foam-padded furniture, cushioning in cars and airplanes, building materials, and electronic equipment. However, over the past decade, some flame retardants have been taken off the market due to toxicity concerns. 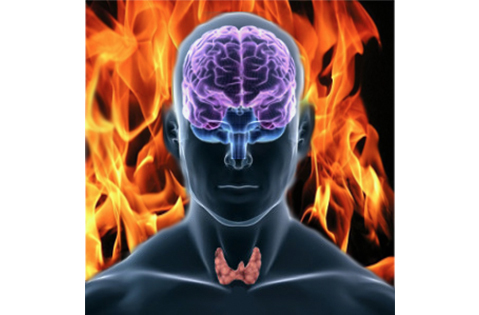 Now, there is new evidence that polybrominated diphenyl ethers (PBDEs), a specific class of flame retardants, can cause brain hypothyroidism by inhibiting an enzyme that metabolizes thyroid hormone in the brain. About half of the thyroid hormone in the brain is produced via this enzyme, also known as D2. Despite their discontinuation, PBDEs remain a concern because traces persist in the environment, most likely in products manufactured before the phased-out and in recycled materials. PBDEs are not chemically bound to the products in which they are used, leaching out into the environment more easily. Human exposure to PBDEs continues and occurs via multiple pathways. Ingestion of contaminated food, especially contaminated fish, is thought to be a major route for humans. Other routes include inhalation, absorption through the skin, and particularly in the United States, ingestion of contaminated house dust. This may explain why the levels of PBDEs found in people in the United States are at least 10 times higher when compared to other industrialized nations. Moreover, infants exhibit a higher risk of exposure to PBDEs because of increased frequency of hand-mouth transfer during important stages of brain development. Nowadays, it is well known that PBDEs can disrupt the endocrine system. For instance, studies in rodents have found delayed puberty and decreased sperm count in male rats contaminated with PBDEs as well as fetal malformations and lower weight gain. Likewise, exposure to these chemicals has been shown to impair development of the nervous system in rodents. In humans, prenatal and/or postnatal exposure to PBDEs is strongly associated with impaired fine motor coordination, attention deficit and decreased performance on cognitive and behavioral tests. A possible explanation for these neurobehavioral alterations is the similarity that exists between PBDEs and thyroid hormone molecules. Thyroid hormones are important regulators of brain development. T3, the active form of thyroid hormone, is involved in growth, spatial organization and differentiation of neurons. Given the similarity between these molecules, it is conceivable that PBDEs interfere with the normal pathways involved in thyroid hormone metabolism and action in the brain during critical windows of development. 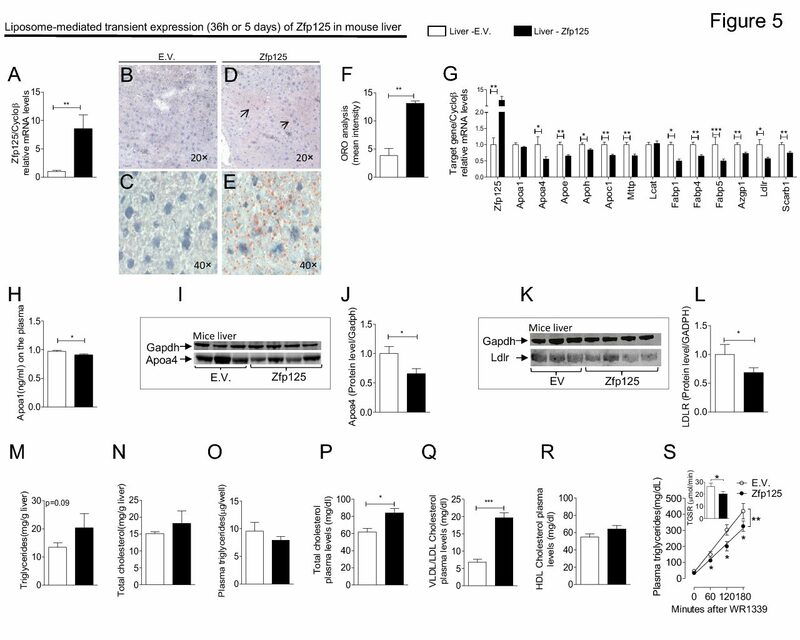 This is supported by the recent study showing that exposure of primary human astrocytes (the most abundant cell in the human brain) to PBDEs decreased the level of D2 production and activity. It also increased the rate of degradation of this enzyme, potentially compromising T3 supply to the brain. Flame retardants are almost impossible to avoid completely, but the Center for Disease Control has some recommendations to help minimize exposure. When buying new furniture, contact the manufacturer and ask if their products contain flame retardants. Also, if planning to reupholster a couch for example, be sure to replace the old foam with new flame retardant-free foam. Likewise, use protective fabric over any exposed foam from cushioning since flame retardants can escape easily from these openings. Be careful when removing old carpeting from your home, because scrap foam typically contains these chemicals as well. In addition, the use of vacuums containing HEPA filters is highly recommended because of their efficiency at trapping tiny particles and removing contaminants from home. For occupational exposure, workers should shower and change their clothes prior to leaving work daily. As we continue to make progress in our understanding of how PBDEs affect the environment and our health, much more remains to be learned about these molecules. Further studies will be needed across different health and environmental disciplines to determine the adverse effects and mode of action of these environmental contaminants.